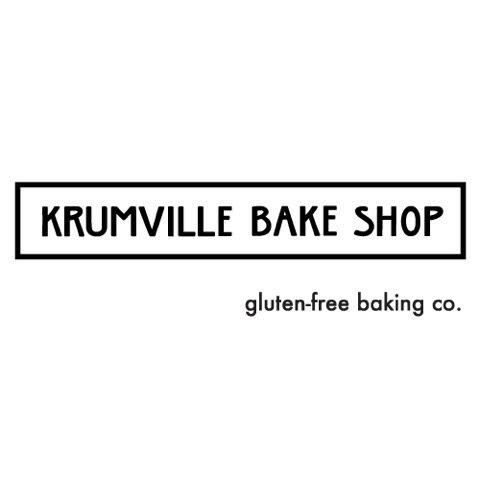 Krumville Bake Shop is a small batch gluten-free bakery that specializes in baking scrumptious treats that everyone can enjoy! Wholesome, fresh, gluten-free ingredients are used in the baking process to create flavorful recipes inspired by Italian and Dutch cooking traditions. After having grown up in Emilia Romagna, Italy, founder Antonella Zangheri moved to the United States with a passion to create and satisfy people. Having been diagnosed with celiac disease in 2009, she found giving up the food she loved simply was not an option, and Krumville Bake Shop was born.